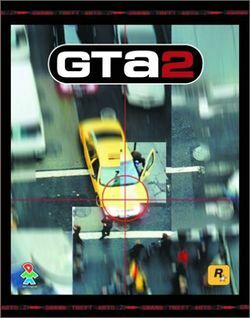 Grand Theft Auto 2, or GTA 2, is the second major instalment in the Grand Theft Auto series. It was released worldwide on October 22nd 1999, by developer Rockstar North (then known as DMA Design), for the PC and PlayStation. A version for the Dreamcast console was made available, and later a toned-down version for Game Boy Color. The game is also available for download for the PlayStation Portable.